Obituary for James Fletcher Smith, Sr.
James Fletcher Smith, Sr. was born December 15, 1925, to Estell Hayes Smith and Jimmy Smith, Sr. in Marianna, Florida. He departed this life on Thursday, January 31, 2019. FLETCHER was a Family Man - He married Lorene Garrett in 1947 and they loved and cherished each other for 57 years until her passing in 2005. From this union came four Children, nine grandchildren, ten great grandchildren and two great-great grandchildren. 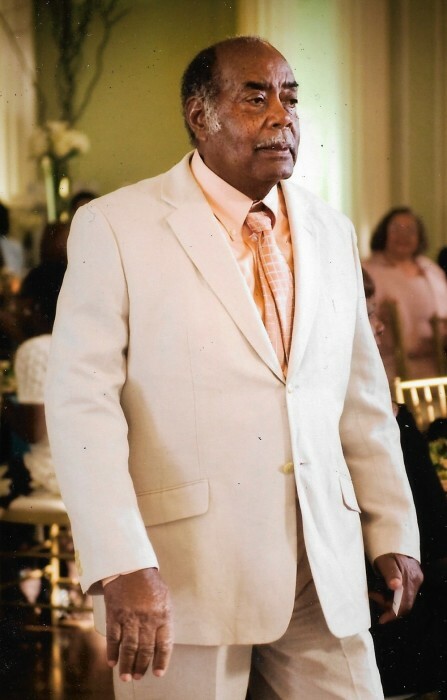 FLETCHER was a Faithful Man - He confessed his faith in God at an early age, first joining Buckhorn Missionary Baptist Church and as an adult he was a member of St. Luke Baptist Church, both in Marianna. After moving to Jacksonville, he joined Friendship Missionary Baptist Church where he was a faithful member for over fifty years. FLETCHER was a Strong & Dependable Man - He always lived up to his responsibilities. Early in life he worked in the fields to help his family. While a teenager, he was drafted into the Army and served his country during World War II. After the War, he provided for his young family by working at Sealtest Dairies. In 1966 the dairy closed its plant in Marianna and Fletcher was faced with the choice of finding a new job and continuing with “small town" life or transferring with the Company to the “big city". He made the tough choice to move his family to Jacksonville. He never regretted his decision. FLETCHER was a Humble & Simple Man - He liked to go fishing, working the small garden in his back yard, shooting pool and socializing with his friends. To relax he enjoyed watching TV, especially Perry Mason, reruns of Gun Smoke and any other Cowboy series. Later in life, after retiring, he enjoyed taking a leisurely walk around Lincoln Circle, the block he lived on. He liked it for the exercise and for an excuse to get out of the house, but probably more so to have a chance to talk with his neighbors for a few minutes. FLETCHER was a Good Man - He Lived a Long Life and He Will Be Missed - He leaves to cherish his memory brothers, James N. Smith (Inez) and John Smith (Vinnie); sister, Ermia Barkley; daughter, Essie Orton (Reginald); sons, J. Fletcher Smith, Jr., Leonard Smith (Emily) and Steven C. Smith, Sr. (Cynthia); grandchildren, Tracy Orton-Simon, Darrell Orton, Jason Smith, Latoya Mebane, Garrett Smith, Lyndsey Griffie (Richard), Steven C. Smith, II (Cha’teriah), Stephanie Smith and Stacci Smith; great grandchildren, Ariana Simon, Brianna Simon, De’Abrie Smith, Jaden Orton, Gabrielle Mebane, Addison Griffie, Avery Griffie, Jaxon Griffie, Harper Griffie and Ameer Smith; great-great grandchildren, Rilee Simon and Keylan King; and many nieces, nephews, cousins & friends.